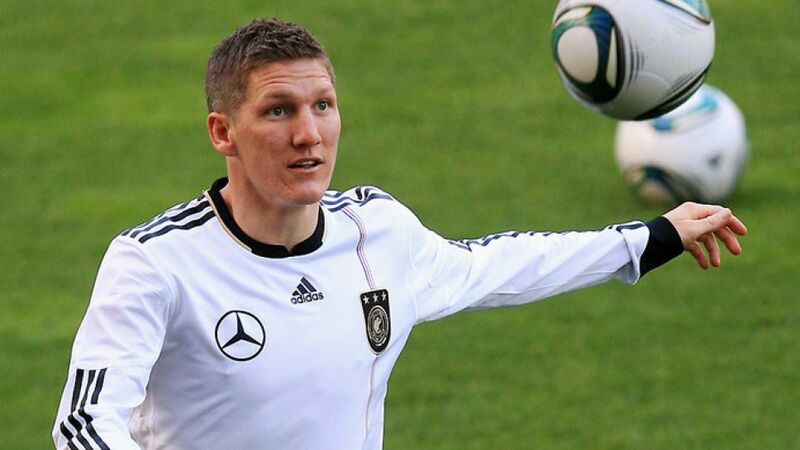 Frankfurt - Germany head coach Joachim Löw has recalled FC Bayern Munich's Bastian Schweinsteiger to the national squad for the forthcoming FIFA World Cup Group C qualifying double-header against Kazakhstan. The 28-year-old midfielder is part of the 20-man group that will travel to Astana on Friday 22 March, before the return fixture in Nuremberg the following Tuesday. Injury forced to sit out Germany's 2-1 friendly win over France in Paris last month, alongside Borussia Dortmund trio , and Marcel Schmelzer, who likewise return to the fold this time. On the down side, Löw is stretched somewhat thin at the back and in midfield, with central defenders Mats Hummels (Borussia Dortmund) and Holger Badstuber (FC Bayern) as well as Lars and Sven Bender and Toni Kroos ruled out. Veteran Lazio striker Miroslav Klose is once again absent due to a knee injury. Germany currently top the Group C standings after picking up ten points from their first four games, three more than second-placed Sweden. Kazakhstan are second from bottom with a solitary point, earned in a goalless draw with Austria, and the Bundestrainer is determined that his team use the opportunity to further tighten their grip on the standings. "In qualifying for EURO 2012 we experienced how awkward Kazakhstan are to play against," said Löw. "We didn't score until after the break in Astana. But obviously our aim has to be to pick up two wins against them. We're only concentrating on ourselves and are 100 per cent focused on qualification. That's our target this year."